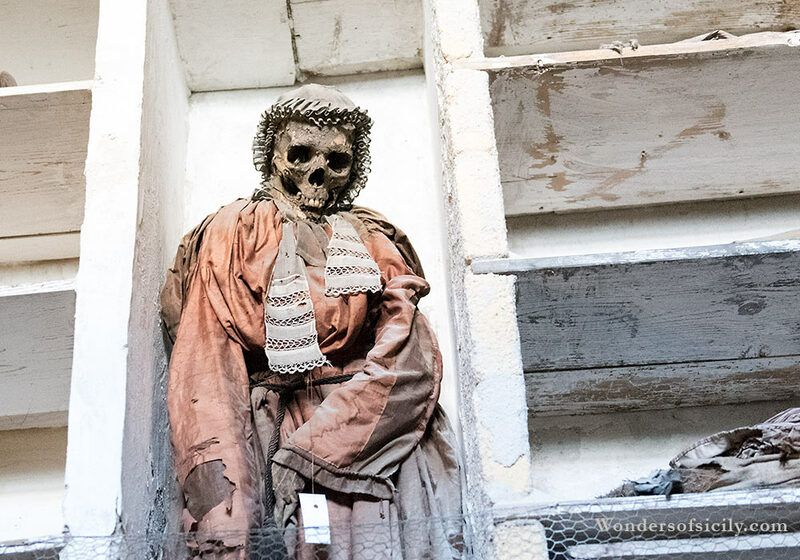 If your stomach can take it, a visit to the Capuchin Catacombs in Palermo is definitely something you should consider. 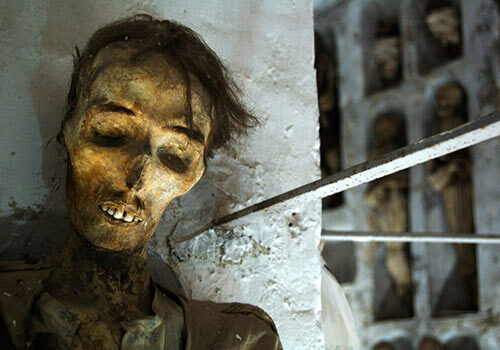 Hundreds of more or less mummified corpses are on display. Most people will feel a strange mixture of disgust and delight at seeing the decomposed corpses. 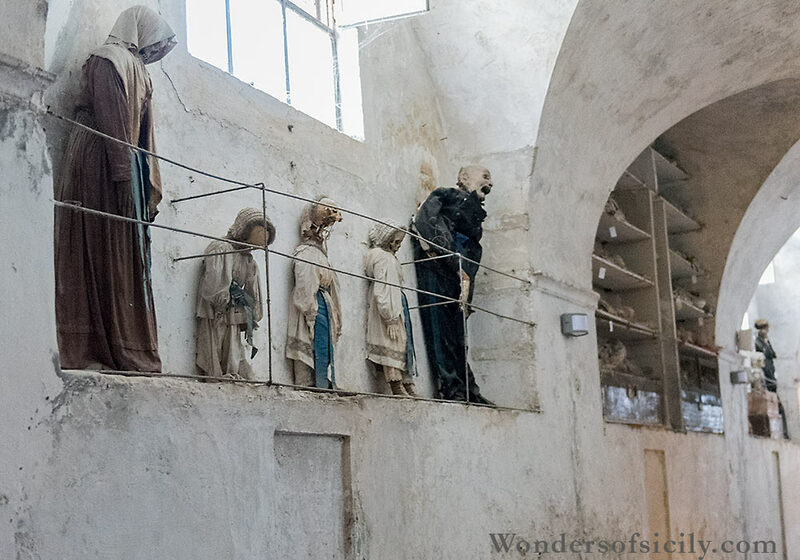 Some are enclosed in coffins, some are standing or lying in niches, attached to the wall with steel wire. 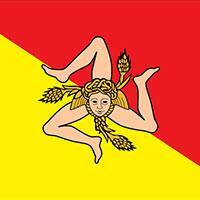 Address: Piazza Cappuccini 1, Palermo. Some of the mummies seem to desperately cry for help. 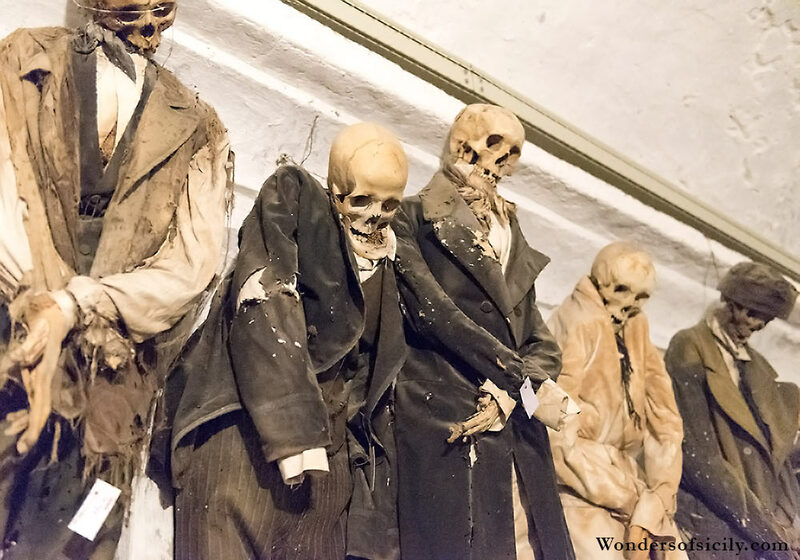 People who wanted to be preserved in the catacombs requested it before they died. It was a sign of status to be on displayed, and you could remain there as long as your family paid. 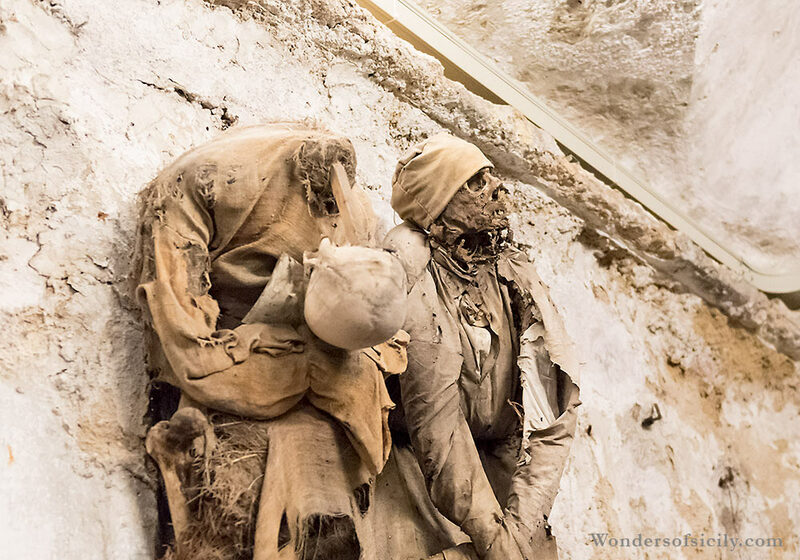 The mummies in the Capuchin Catacombs represent an extraordinary scientific and historical resource. From the mummies the scientists can get lots of scientific data about medical issues as well as how Sicilians lived. This is not a place you want to be locked in at night. Some have lost the lower part of the jaw, and in some cases the skull has loosened and is dangling on the chest. Keeping the family together. The father doesn't seem too happy, though. Some of the women are really grotesque in their lace and ribbon-trimmed bonnets. While the Kings and Queens spent lot of time preparing funeral processions in front of millions of people, noble people just wanted to rest immortal underground. 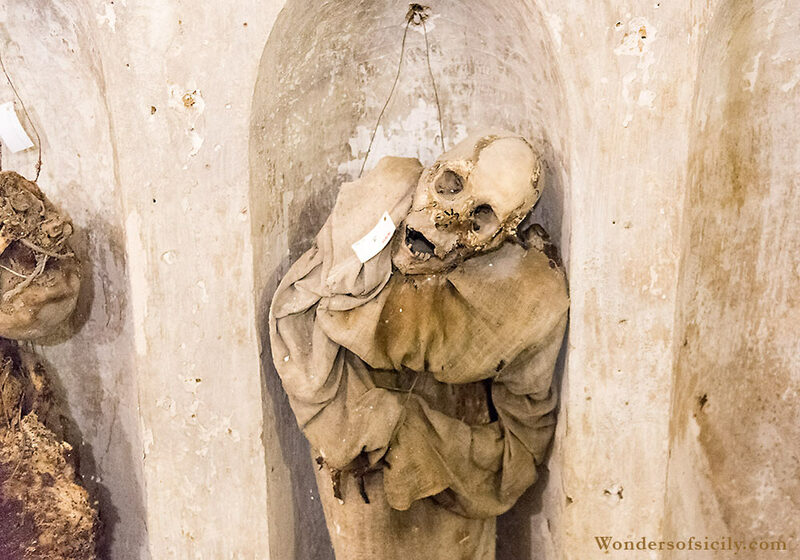 A lot of noble people were "buried" in the Capuchin Catacombs with generous donations. 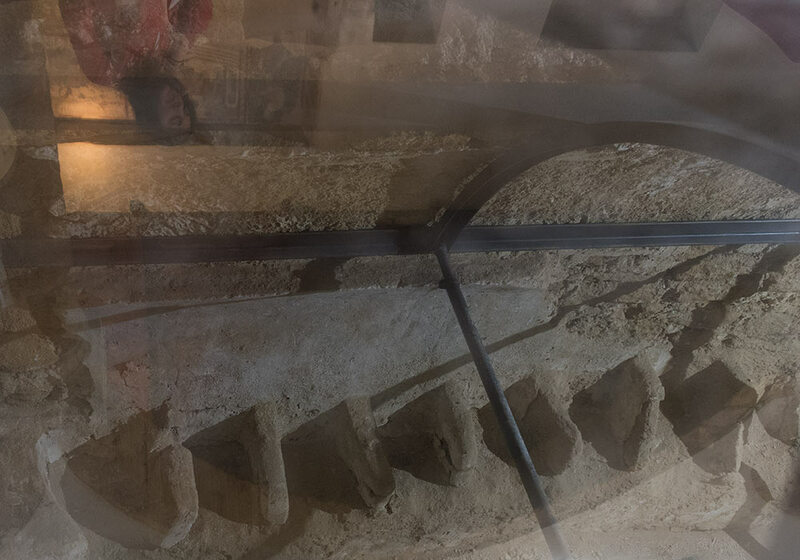 In the early XVII century, in fact, the Cappuccini community, during an excavation to enlarge the mass grave behind the main altar, discovered forty-five friars naturally mummified and incredibly preserved by the time and the decomposition. 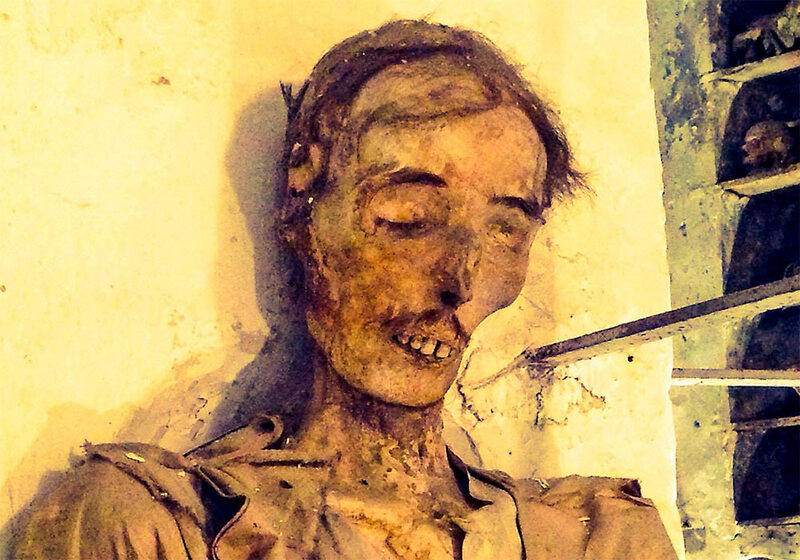 One of the mummies in the Catacombs of the Cappuccini, Palermo. Rich people wanted to remain in their status of dignity and power, so mummification became a status symbol, a possibility for the families of the deceased to see and venerate the body of their relatives in a not ordinary way. 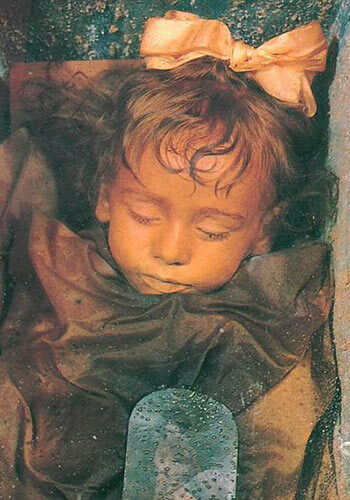 This trend was interrupted in 1880, except for more two bodies: the body of Giovanni Paterniti, Vice-Consul of the United States in 1911, and the body of the little Rosalia Lombardo, who died at the age of two years in 1920, famous all around the world. Today the practice is more symbolic and less spectacular. People visit the house of the deceased for two-three days, then the grave is conducted inside the church for the blessing with a little procession in the middle of the street , where everything is stopped and unknown people make the holy sign of the cross as a symbol of respect and blessing. 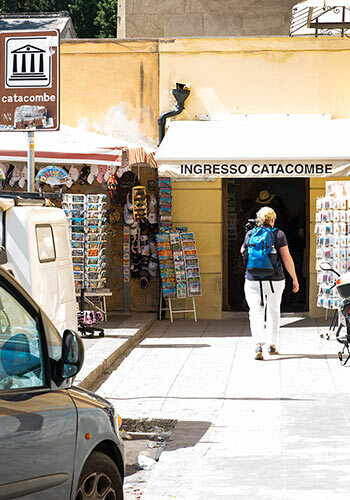 The entrance to the catacombs in Palermo. 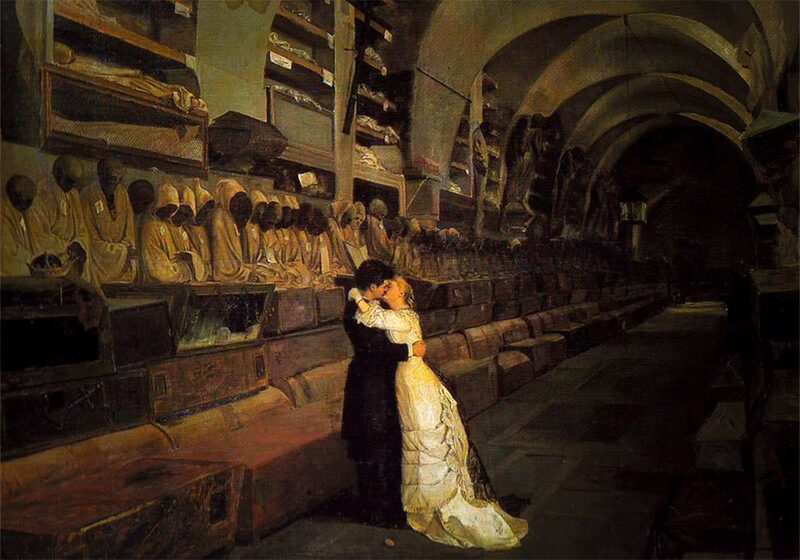 Calcedonio Reina's painting "Amore e Morte", now in Museo del Castello Ursino, Catania. 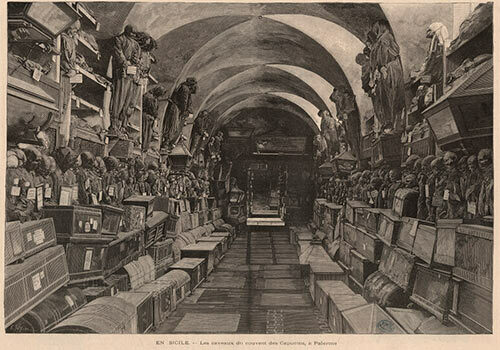 Guy de Maupassant (1850–93) visited the Capuchin Catacombs in 1885 and described his impressions vividly in his book about the journey.